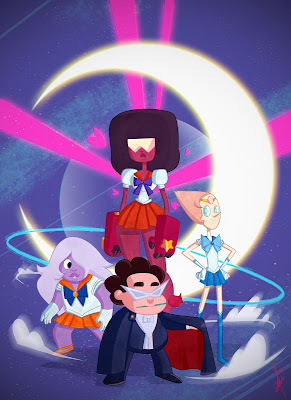 The Sketchblog of Arianna Garcia: Steven Universe meets Sailor Moon! Steven Universe meets Sailor Moon! Roller Derby is not a Crime!